Where in the UK can you find this incredible piece of art? When is the release date? I wanna drive!! P.S. 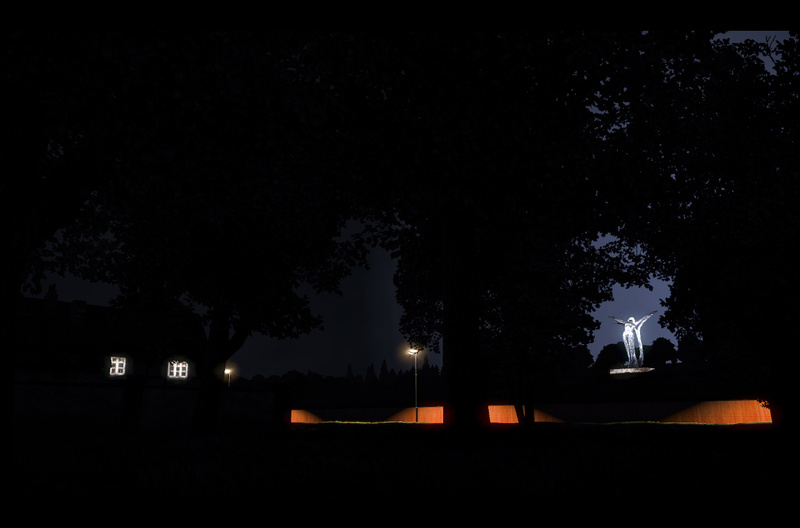 : Illumination on evening screenshot is fantastic! I have no ideea, but I like what I see. Keep up! Yeah there are more ai-cars on the road! Great! ...and I think also Fiat Punto. Keep the good work guys!!! could you show us the physics of motion truck at high speed during cornering, with sharp turns, maneuvering on two-lane narrow highway? Make a video about the sort of extreme driving! It is very interesting, how to behave truck in the new game, ETS 2. This is no big deal, because the physics of the game you have already done. Fans of the game it will be very interesting, because in the earlier parts of the game physics control truck was just awful and I had to put all sorts of modes, which also did not give the desired effect of driving. Indeed, ta very good cars, the graphics environment of the day or night. The cars are also well made ​​and has a wide variety of vehicles, the highway also good ta. It also has that wonderful work of art. So for now ta perfect, and you have not got the game ready. Congratulations and good job SCS. Beautiful and I'm also loving the variety of modern cars in the game, well done SCS. Importantly please make inside driving view adjustable and saveable by the player. 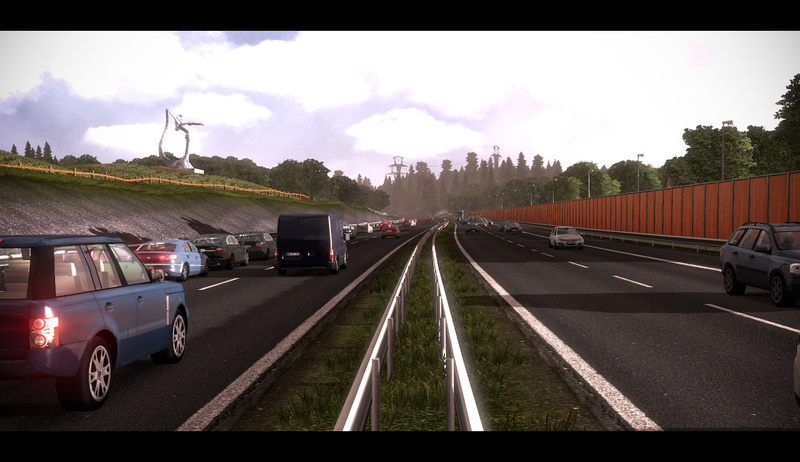 And completing; this traffic starts with the game or when playing after a while? Yep, agree with everyone hwo praising variety of passenger cars. Good job! Especially love Skoda Octavia and that SUV on third pic (I'm really not sure what it is, but looks nice). Mmm... Volvo XC90 in traffic. I'm flattered. A lot of trafic-thats how I like it. I HOPE THE CARS/TRUCKS DON'T STOP FROM 100 to 0 in 0,01 SECONDS LIKE PREVIOUS GAMES. Sorry for my english. From ARGENTINA! Please SCS Soft, insert the maximum possible of roads in game. On second picture can be observed a small "street" parallel to highway. Would be really cool if this small roads were in the game. Sometimes playing German Truck Simulator 1.32(I play every day) I can see big trucks passing on top of montains, on secondary roads that we aren't included on the map. Would be amazing if these little roads were part of the map. The maximun possible. Thanks SCS Soft. You are amazing, not this roads. Sorry for my english. From ARGENTINA! " Don't worry man, I'm from Belo Horizonte, capital of Minas Gerais(Brasil). And I not know very much of inglish, I learn some on school, the rest the Google Translator helps. Não sei quando uso "in" ou "on", cnfundo "was" com "were". I can see is that in the four corners of the world someone likes this games. SO MANY CARS !!! SUPER !! SCS, do everything to bring this game to Brasil in official launch. I'm don't wanna to download this game from the internet, but I look forward to seeing this game as soon possible. And please, import his game to Brasil, don't made here, if not the Brazilian government will place a "big cargo" of taxes. I believe your hard work should be rewarded. I want to pay for the games I play. Especially the good, like a Euro Truck Simulator, Gran Turismo, Need for Speed. But Brazil does not help much in the category Technology. Gean from Belo Belo Horizonte. Splendid images. Looking forward to the release very much. I'll just ask for a few more things if that's okay, this is bloody amazing so far..
2. Would it be possible to show us driving in this new traffic density? so check us out too! There's something in the wheels of vehicles making they look of paper. And really, roads has more than trucks and some car models. Even though I think motorcycles are a disgrace that only wanted to make in real life, let the game more real. 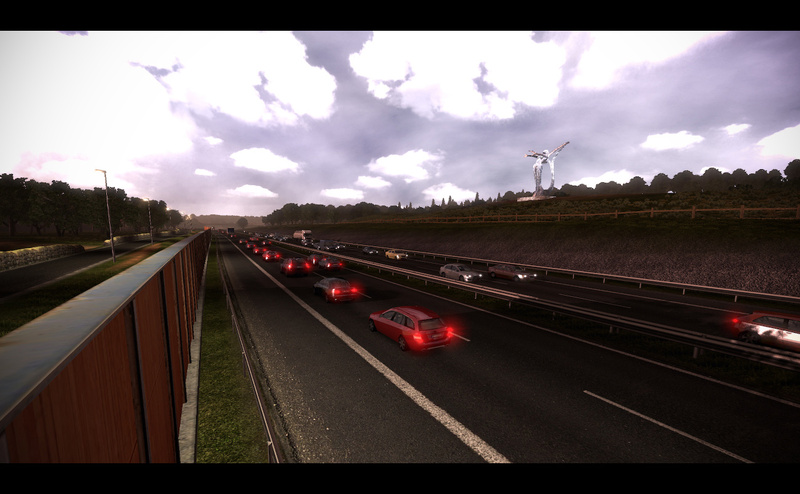 Always assimilate Euro Truck Simulator 2 with a more complex game. Especially with a larger map, with big cities. With large urban area(not so much, course), many streets, with small towns along the way, with dirt roads and small farms. Per hour, that's just a dream or can be reality ? Beyond new vehicles and weather details, I hope a larger map with more places. Like in these images. Thanks SCS Soft for amazing game. This always be a dream for me, from small, when I had cars of wood with tricycle wheels. In my eyes, EuroTruckSimulator2 will be unique. The Map, the prefabs, the tuning, the landscape, the selection of trucks and trailers, the sights, thats fantastic and very realistic, in one word ITS UNIQUE! I would like to ask whether the Ets 2 will be to have 2 trucks? Dear SCS, we want news about the gameplay. this is more like art meets art, because these screenshots are art. 3rd Picture on the right side of the road, at the far back. A green car is using indicator. Really Good Work! Why the AI cars have steering wheel on the left side? i like the new kind of terrain along the highway. to see on the second and third picture. and the traffic is great too. 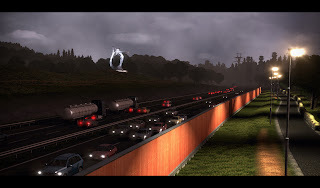 SCS, can you show us a highways and/or roads intersection prefabs (turning lanes, slip lanes). In ETS it was so simple, so I want European look prefabs. I will know that there will be generated traffic jams. so hungry about map and gameplay-videos or living screenshots, with overview about the whole map and motorways with all borders and parking places. However, I am a bit disappointed to see that while you wrote back in August that you would shed some light on the gameplay features of ETS2 in September, this did not happen last month. i wanna drive in america too . . .
Daaamn, I can't wait!!! I doubt the map will be 3x size of Haulin' atleast!!! i've some questions about the editor. will there be an editor as it was in gts? do you have plans to improve the editor or to integrate some new functions? There will be no surprise left for us. Awsome images (especially the last image). Nice lighting effects! Pleas provide a demo before release SCS!!!! voilà, een pizza calzone met extra neushoorn. krijg ik nu 'n cola? This gaming is going to be amazing!